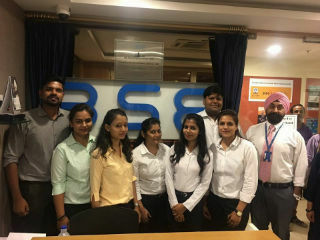 An Industrial Visit was organized for PGDM-IB(16-18) to “BSE Investors Service Center” on 25th July, 2017, Tuesday. 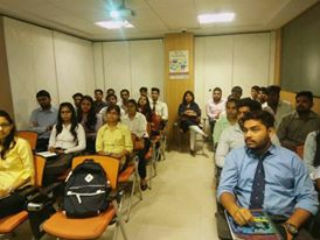 A two hour classroom session was conducted during the visit. 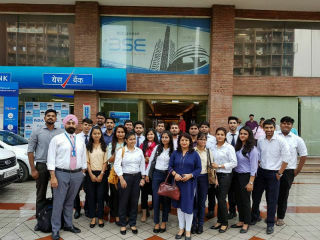 Students of PGDM-International Business(Second Year) with Finance specialization attended the Visit .They were told about various compliances which were required by SEBI for investors and various other technical aspects which a post graduate student must be aware for the analysis of stock market efficiently. 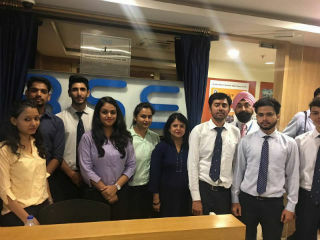 The session took two hours and was really helpful for the students to understand the actual working of stock market.